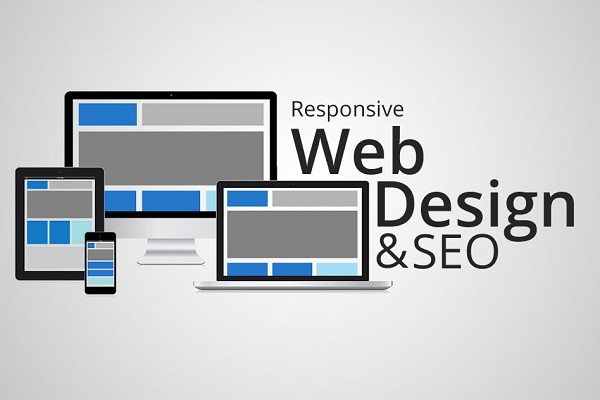 Reasons, why Responsive Websites are an advantage for Search Engine Optimization. With increased number of people using smartphones, tablets, notepads and other mobile devices for surfing the internet, you cannot ignore the importance of having a website designed that functions well across multiple platforms. Well, one of the most preferred solutions for you can be going for a responsive website design. Responsive Web Design: Responsive web design is a concept that aims at building a website design wherein its layout gets changed depending upon the size and resolution of the devices used to access it. In other words, a responsive website works well both on smartphones and traditional desktop computer systems as well. There are so many reasons why the concept of designing responsive websites is gaining so much popularity in the website design and development industry. Well, one of the main reasons is that it eliminates the need of creating a separate mobile version of your site to cater to its mobile users. It saves lot of money, time and effort that is required in designing and maintaining a separate mobile version of your site. A responsive website design also helps in securing better rankings in search engine result pages. This is because Google itself recommends responsive website design and secondly responsive web design offers a great solution to the issue of multiple URLs which is a common issue if you have a separate mobile version of your site. Responsive web design presents enhanced user-experience and this is one of the main factors that influence your Google rankings. Moreover, better user-experience also means users will keep coming back to your website as they have good experience of browsing your site. Another important benefit offered by responsive website design is that it helps in bringing down the high bounce rate on your website. A website that enjoys good rankings with search engine will not be able to perform well if it does not function well when viewed using smartphones or other mobile devices. In such a case, the bouncing factor can be a major issue because Google considers high bounce rate as an indication that a website is not being able to provide its users the relevant and useful information and it can affect your rankings badly. This is where the responsive website design comes into play as it presents the similar content on mobile devices as featured on the desktop version of the site. Thus we see that responsive website design is a better option not only when SEO benefits are concerned but also for it being cost effective. If you need any help in switching your website to the responsive web design, you can get in touch with Kinex Media. It is a leading service provider of high quality web designing services and would be happy to suggest you the best solutions.